As an accountant, you want to do more than simply prepare annual returns and ensure your clients keep up to date with their HMRC obligations; you want to see your clients thrive and their businesses grow. Successful clients are vital to an accountancy practice, providing retention of business and a steady stream of income. Therefore it is in your interest to use every tool at your disposal to ensure your clients remain solvent and able to continue trading. Red Flag Alert is a powerful tool which can assist you in doing just that. Suffering bad debt or otherwise struggling to manage cash flow due to delinquent payers is a huge factor in otherwise successful companies falling into insolvency. When it comes to a credit risk strategy, prevention is always better than the cure. Risk can be lowered by ensuring companies keep track of their suppliers and other creditors to ensure they are financially sound and unlikely to default on agreed payment terms. 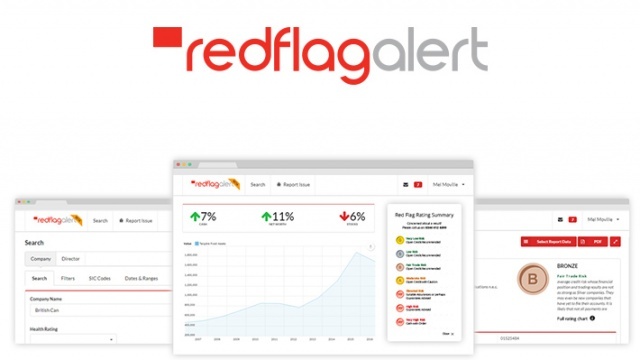 Developed by Begbies Traynor Group, the parent company behind Handpicked Accountants, Red Flag Alert is an extremely useful piece of software which can help mitigate against the possibility of bad debt or otherwise becoming exposed to financially vulnerable customers. Originally devised as a tool to spot companies heading towards insolvency, Red Flag Alert captures details of every limited company in the UK, awarding each one with its own unique health rating based on a number of factors. Red Flag Alert is often offered as an additional extra by accountants to complement their existing offering, either on a complementary or paid for basis. To discover more about the range of services offered by Handpicked Accountants and the wider Begbies Traynor Group, talk to a Handpicked Accountants representative today.